Connect to a mini-HiFi, my iPhone as the music and Internet radio source. In other words, all I need is a multi-purposes devices – an iPhone dock that can connect to an AV amplifier but also a speaker, USB hub and a memory card reader. Of course, there is no such device and therefore I bought three docks to achieve this. 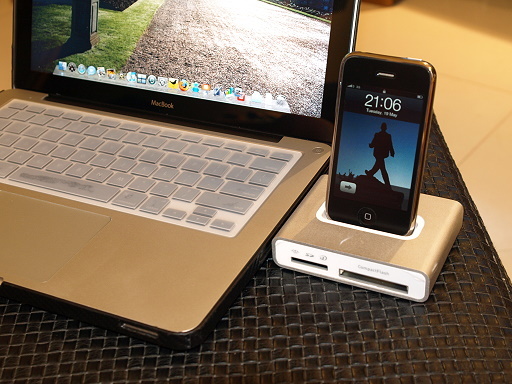 First is the Simplifi from Griffin Technology – It is a charge/sync dock, memory card reader, and USB hub. See the photos below for the look of it, it works perfectly and I am now using it with my notebook computer. It really is a space saver. 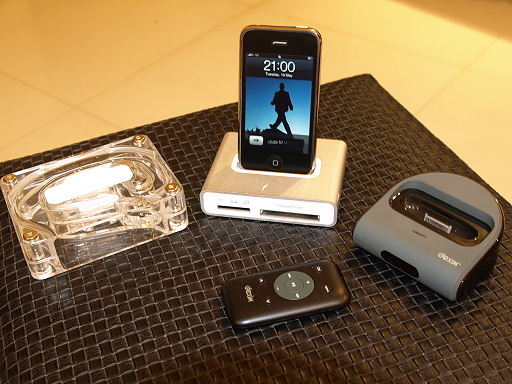 The second one is also from Griffin and it is a simple dock that also act like a mono-speaker – Griffin AirCurve Acoustic Amplifier for iPhone. The Aircurve, a cleverly-designed acoustic amplifier, is basically a coiled waveguide “horn’ that collects the sound from the built-in speaker of your iPhone and then amplifies it. Of course it is not a Bose speaker system, but it is good enough for my small office. 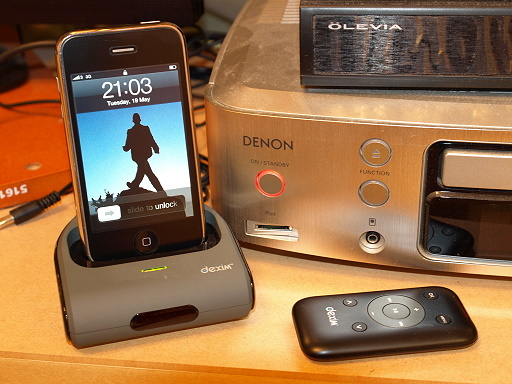 Lastly, the Dexim AV Dock is similar to the Apple iPhone AV dock. It connects to my mini-HiFi and in turn to my LCD TV. Now with this AV dock, I can watch videos, view photos on my TV. And also I can play my iTunes music, Internet radio show thru the mini-HiFi.